Many gardeners know that some plants do well when they’re planted near each other. For example, When you plant basil and dill among tomatoes they protect the tomatoes from hornworms. Also, sage scattered in a cabbage patch reduces the impact of cabbage moths. But there are also plants that should not be planted near each other. In this article, Mindi shares some plants that just don’t like each other. It’s a continuation of her series on Companion Planting. Part 1 can be found here. For example, Mindi suggests avoiding planting carrots and dill or parsnip near each other because you’ll get deformed carrots at best. My grandmother used to caution against planting tomatoes near carrots. She said the carrots would be small but taste good. A big question is “Why” do some plants do well together and others don’t? There are a lot of reasons. Different plants, flowers, and herbs can produce scents or chemicals that either help or hurt other plants. Also, some plants are attractive food for pests and predators that might otherwise eat a food plant. There’s a caterpillar that loves to feed on members of the cabbage family. However, if you plant nasturtiums around the cabbage and related plants, the caterpillars lay their eggs in the nasturtiums which can protect most of the food crop. Finally, some plants thrive in the same type of soil and do well when planted near each other. 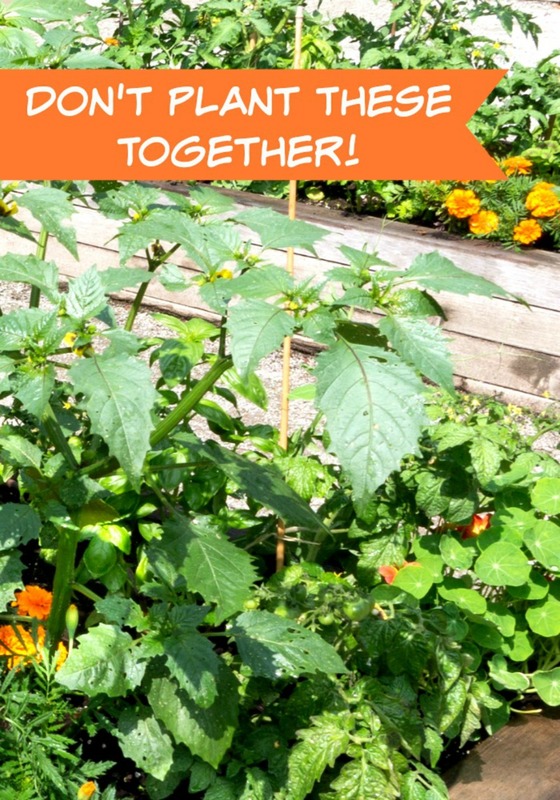 Click on the Companion Planting Part 2 – Don’t Plant These Together Too link below to read the complete article.